Winter is almost here, so it’s even more vital to make sure that your commercial HVAC system is working as it should. Winter is almost here, so it’s even more vital to make sure that your commercial HVAC system is working as it should. That way, you can ensure that your building will be heated properly. 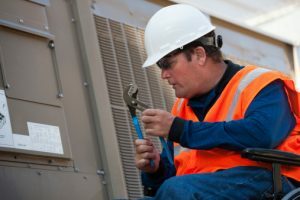 Here is some more information on why commercial HVAC maintenance is so necessary. Commercial HVAC systems are typically used to heat and cool spaces that are larger than a residential building. As such, they have different heating and cooling needs. As heat rises, you need to be sure that the lower floors of your building can be kept just as warm as the upper floors. If, for instance, your office’s kitchen area is downstairs, but your main office is upstairs, your workers shouldn’t have to be cold while they are taking a break for lunch. In some cases, any heating problems can be addressed through maintenance and upgrades. Timely preventative maintenance will keep your commercial HVAC system running smoothly. However, if your business is moving or expanding, then you might benefit from modular HVAC systems, as these can be added when needed and then removed once aren’t needed anymore. Around the Clock Response: There’s a saying that time is money. When you run a business, that’s true. You can’t afford downtime, so finding the experts who can provide you with around the clock response can ensure that even if something goes wrong after hours, it won’t affect your business. Maintenance Contracts: Maintenance should be completed during the spring and the fall to help prevent problems that pop up in the summer and the winter. Maintenance contracts can provide you with timely service and prevent problems from getting worse. Duct Cleaning Services: You’ll also need to make sure that the ducts are kept clean. Clean air ducts improve indoor air quality, energy efficiency, and employee morale. This entry was posted on Friday, November 30th, 2018	at 11:27 am	and is filed under Commercial HVAC Systems . You can follow any responses to this entry through the RSS 2.0 feed. Both comments and pings are currently closed.